The remains of Richard III, the last Plantagenet king of England, are to be buried in Leicester Cathedral in a coffin designed by one of his descendents. Cabinet-maker Michael Ibsen, a direct descendent of Richard’s sister Anne, has been commissioned to create a coffin, which will sit in a tomb made from Swaledale and Kilkenny stone. The tomb and surrounding burial chamber are being designed by architect van Heyningen & Hayward. Richard III was killed in the Battle of Bosworth Field in 1485 and is the last King of England to die in battle. More than 500 years later in 2013 his remains were found in a council-owned car park, backing on to a grammar school in Leicester. Since the discovery, there has been a tussle between Leicester Cathedral and York Minster about where the King’s bones would lie. 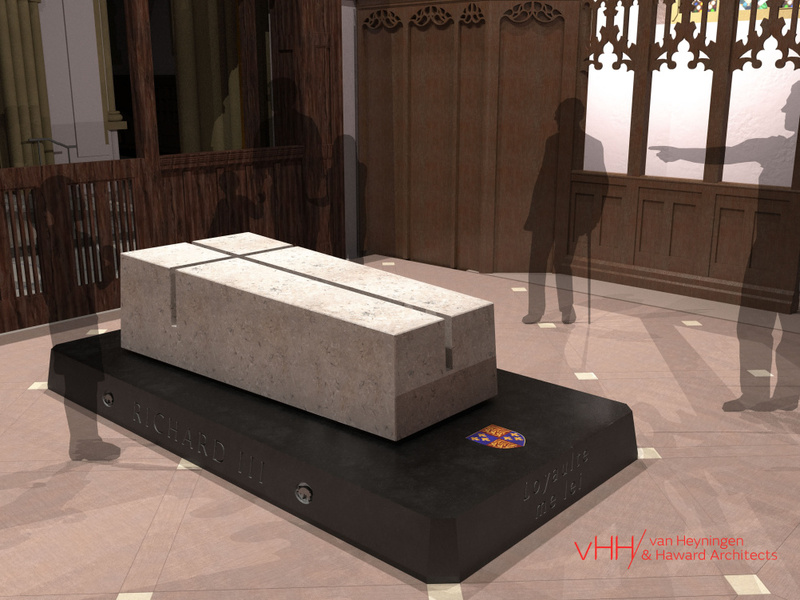 Leicester Cathedral has now announced that it is a ‘certainty’ that Richard III’s remains will be interred in the city in spring 2015, and that the final design for the tomb has been confirmed. 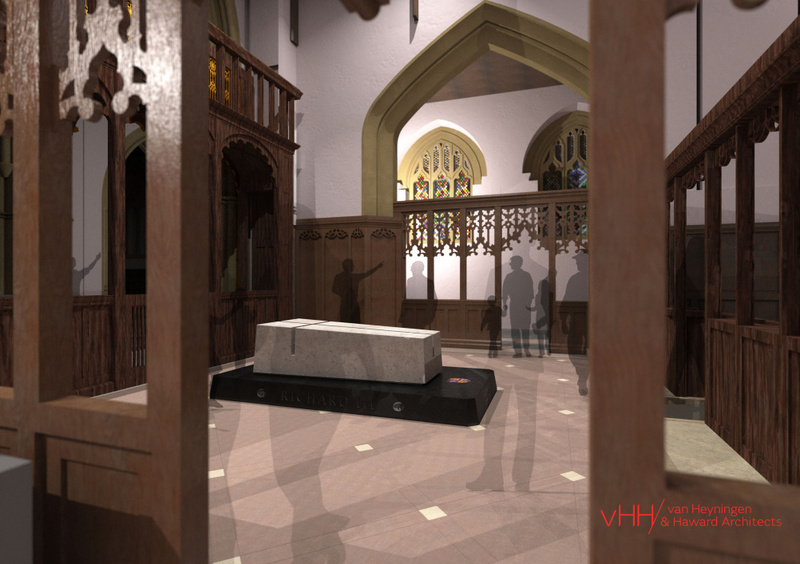 The design has changed from an initial limestone concept, that came under fire from the Richard III Society, who reportedly withdrew funding for the original plan. 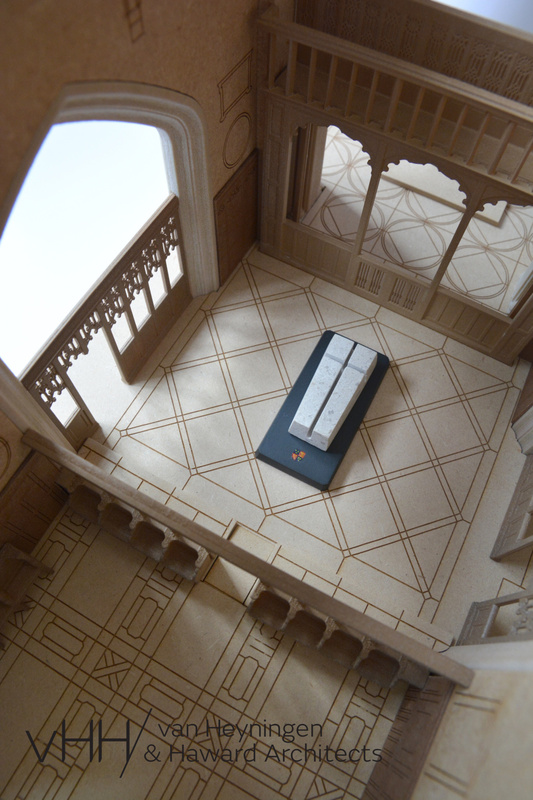 The cathedral is set to start a fundraising drive for the £2.5 million tomb plan. Meanwhile, a £1.2 million visitor centre designed by Studio MB is set to open in the summer on the site where Richard III’s body was found. Our practice is called van Heyningen and Haward Architects (small v!) – it’s not one persons name.